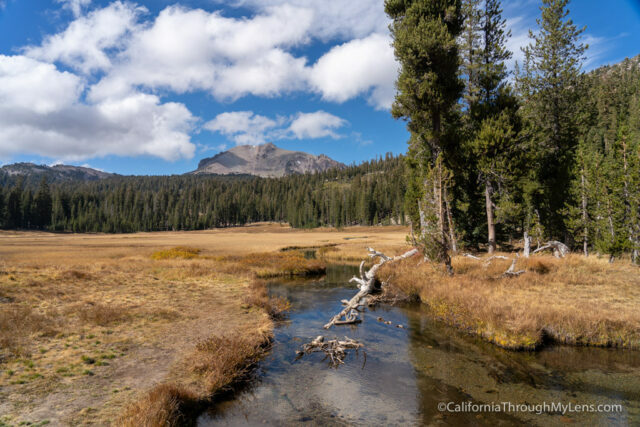 Lassen Volcanic National Park is one of California’s most underutilized, due mainly to its location in Northern California, but it is also one of its most beautiful. 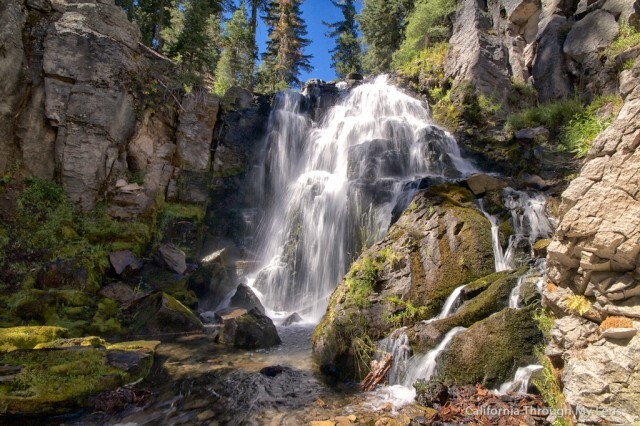 This park has everything from volcanic summits to geothermal areas and waterfalls. 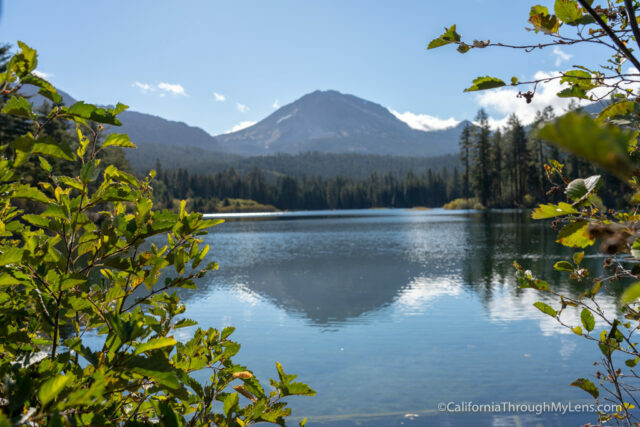 It is a must visit in California and here is a collection of the things you will see when you visit. Let me know what I left off in the comments. 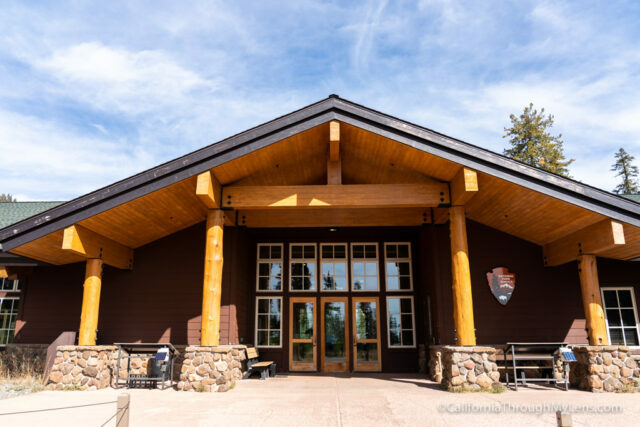 The visitor center is better than most national parks; it has a lot of park info, a gift shop and a decent cafe. The cafe has all the normal stuff like hamburgers, fruit, ice cream and sandwiches. It is a great place to have a meal after a day of hiking and it is good to have as there is no other food close. 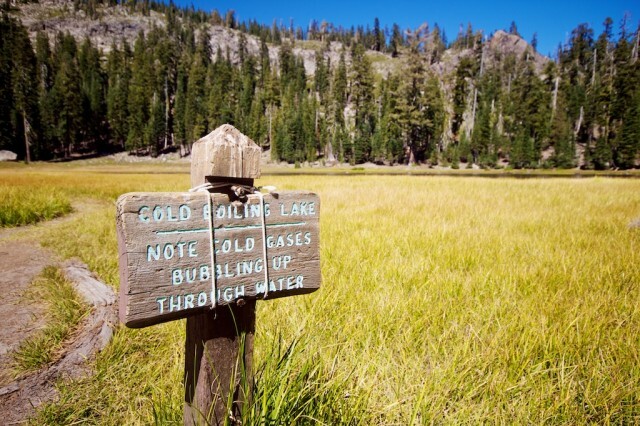 In order to truly experience Lassen, you need to get out and do some hiking. 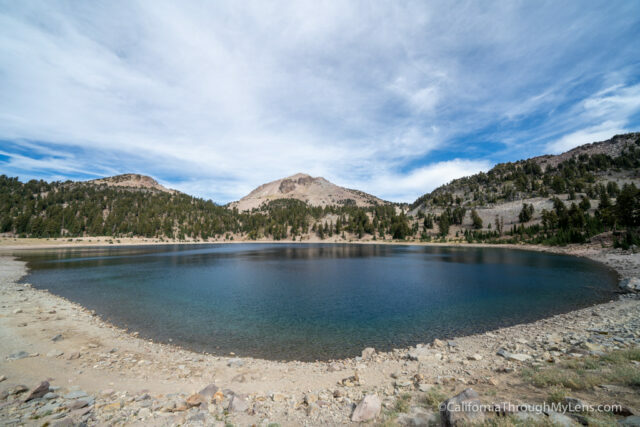 There are hikes that lead to lakes, ones that lead to waterfalls and my favorite, the hike up to Lassen Peak. 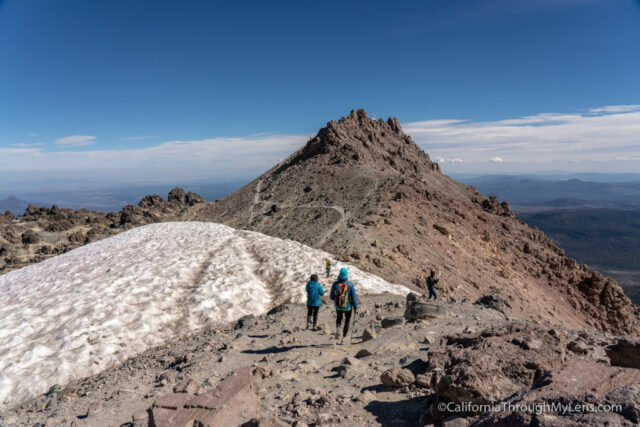 From the top of Lassen Peak you can see all the way to Mt Shasta and it is an amazing view. One of the most unique things about this park is the geothermic areas scattered around it. 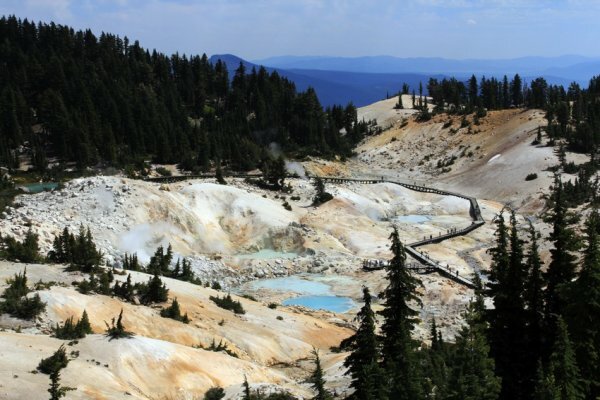 Sulpher Works is the easiest to access as it is right next to the road, but the most impressive is Bumpass Hell, which requires hiking to get to it. Right up the road from the visitor center is a parking lot that leads to an easy to access geothermal area called Sulphur Works. This area is said to be the volcanic center of the ancient volcano, and from here you can walk to a bubbling mud pool with escaping sulfur mist that smells like rotten eggs. There are also some cool overlooks that show the color patterns that the gas has on the terrain. 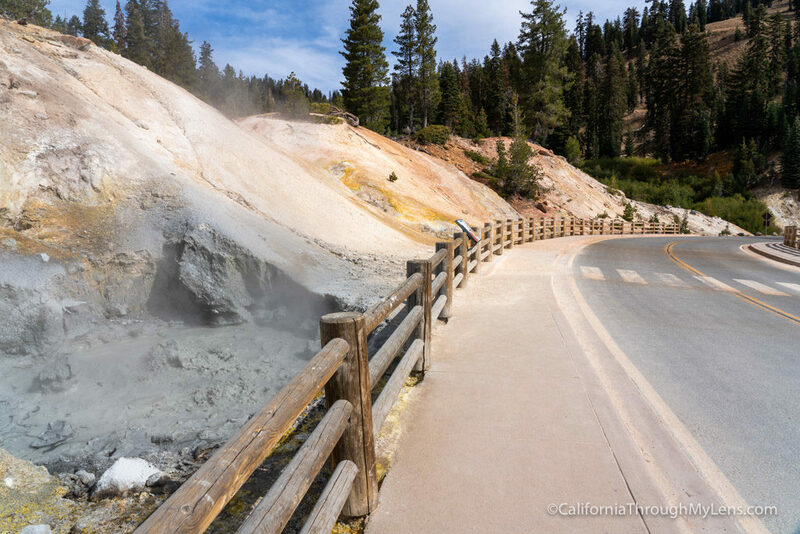 Much like the Sulphur Works, Bumpass Hell is an amazing geothermal area that requires a 2.5 mile hike each way to get to it. This is one of the most strangely beautiful parts of the park, and a must visit if you can handle the hike. The area has massive mud boiling pots, sulfur steam vents and unique colored landscape with wooden plank walkways. While the park is best explored by hiking, here are some of things you can see with little effort as you drive through it. Here are a few videos I made of the park. Where can I stay in the park? There are many campgrounds in the park. You can find them all here. Where do I get a map? You will receive a map with information on the park when you enter. Visit the Visitor's Center for more information on the park. Current price is $25 but I always spring for the year pass to all the National Parks which is $80. Is there food and gas in the park? There is no gas in the park but there is food at the visitors center if you need something while in the park. 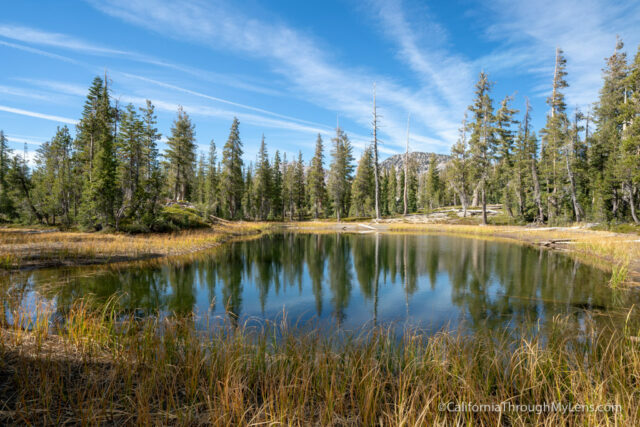 Now it is your turn, what did I leave off this list that you love exploring in Lassen Volcanic National Park? Be sure to leave them in the comments so that others can find them as well.